Fresh trails for the shoulder seasons. 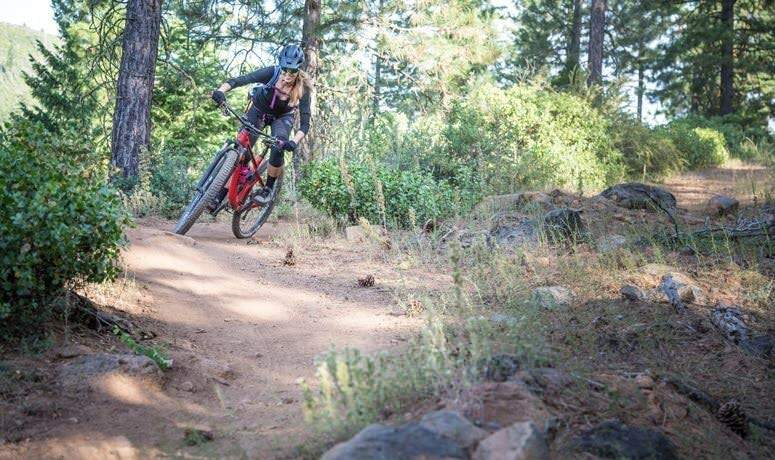 Let’s say it’s a little early in the season – the teasing good weather of spring is calling you, but your favorite Cascades trails are not ready to ride. Or it’s the tail end of a great summer of riding and you’re not ready to hang up the mountain bike for the winter, but the weather is wet and unpredictable at your normal spots. Time for a road trip! Spence Mountain is a new trail system you should check out. Just 15 miles from downtown Klamath Falls, with stunning views of Upper Klamath Lake (Oregon’s largest inland body of water), Spence Mountain enjoys a long shoulder season that makes it an excellent option for early- or late-season visits. The dry Southern Oregon climate means Spence Mountain is in its prime when the rest of the state’s trails are under snow or mired in mud. The trail is clear from early spring to late fall – but note that in the middle of summer it can be hot and dusty. Another reason to be intrigued: This trail system was conceived of, designed and built by mountain bikers, specifically to stimulate the pleasure zones of mountain bikers’ brains. 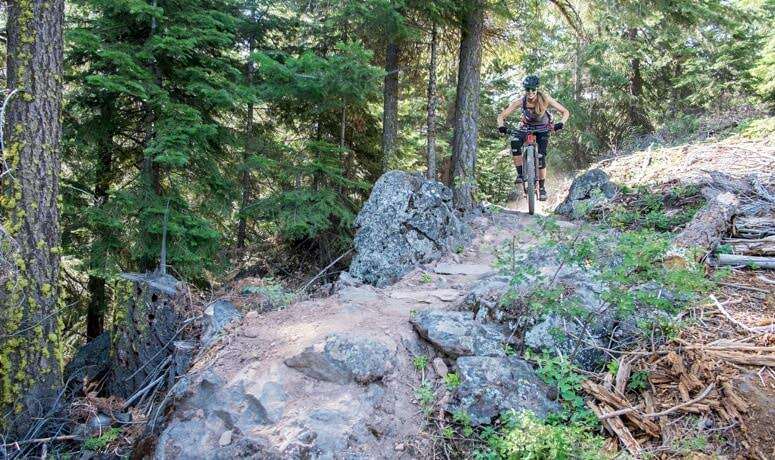 Working with a bountiful natural canvas, they’ve created a wondrous playground: It has long climbs, fast descents, jumps, rock gardens and berms, and downtown K-Falls is only 15 minutes away (where you’ll find a fine microbrewery). OK, you’re going. So, what’s the riding like? Well, as is so often the case with good trail systems, you start by going up. About 5 miles of climbing will certainly let you get your legs primed. But the grade is moderate – and that’s a good thing, considering the trailhead sits at nearly 4,200 feet, and it’s possible you don’t live day-to-day at that elevation. So work your way into your rhythm without going hypoxic. And don’t get complacent; there are a few quick, techy uphill sections to keep you interested. Once you put in those 5 miles, you’ll arrive at the first crest of the ride. Drop your saddle and raise your expectations – here comes a good part. 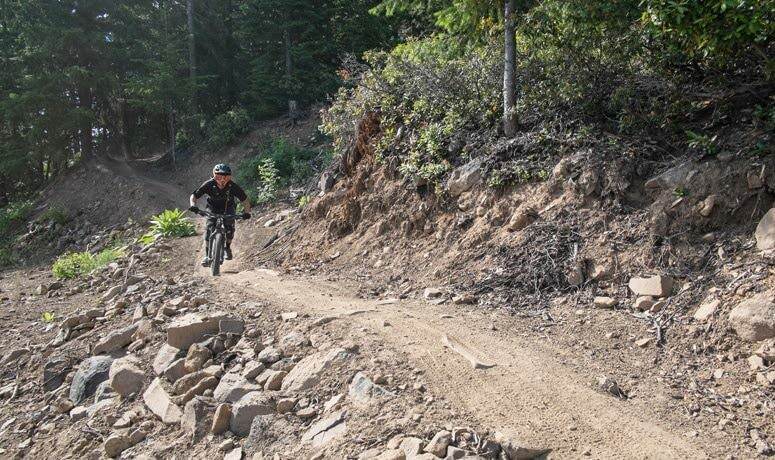 Venture down lower Hooligan Trail, a ripping 2 miles of high-speed jumps and grabby berms. At the bottom you’ll swoop by the trailhead for Spence Mountain, but no need to hesitate — this route is well signed throughout. And now the rollercoaster heads back up, to gain some elevation it can use in creative ways to reward you. Downshift for an easy 5-mile climb that showcases views of the lake and nearby mountain ranges – and take a break somewhere along here to look south at photogenic Mt. Shasta looming across the California border. When you hit the top, it’s worth your time to hoof it up the short distance to the summit of Spence Mountain, which tops out at 5,800 feet and delivers a panoramic 360-degree view that stretches forever. OK, here you come over the top. The fun comes rushing at you when you drop into the North Ridge Trail. This is a bona fide black-diamond trail – it’s got rock moves, notches and drops, all crafted by local trail artisans for your riding pleasure. You’ve gotten plenty of scenery today – now it’s time to narrow your focus to just you, your machine and the terrain coming at you like a video game. Your bike and your skills will be tested. 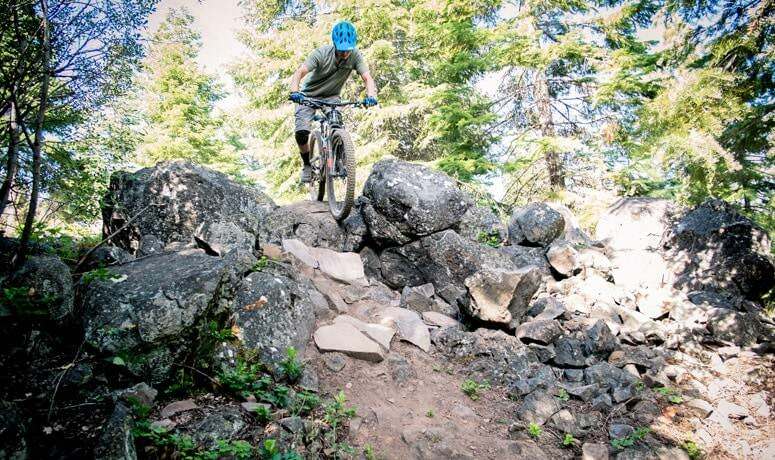 There may be more famous and well-traveled trails in other parts of Oregon, but it’s going to feel good knowing you’ve got an option like Spence Mountain just when you’re getting twitchy early or late in the season. 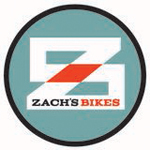 Established in 2016, Zach’s Bikes is the locally-owned product of decades of combined experience in the industry. Moreover, they know and ride the stellar trails, gravel and tarmac that are so abundant in and around Klamath Falls. Zach's Bike's mission is to equip you with the tools and knowledge you need to explore the Klamath Basin on two wheels.